Where are South Africa in terms of the 2019 World Cup? Will South Africa secure the World Cup for the first time in 36 years? South Africa produced their best performance of the series against Pakistan at Newlands to secure the ODI series 3-2. The Proteas victory in this series must not be underestimated as Pakistan won the ICC Champions Trophy in England in 2017 and are good white-ball team. The ODI series was hard-fought with the South Africa probably a bit lucky to go to Newlands still in the series. Pakistan coasted to victory by big margins at St. George’s Park and the Wanderers. South Africa’s victories in Durban and Centurion had a measure of good fortune in them – the luck going with them in Durban when they were against the ropes and the Centurion match a Duckworth/Lewis decision with South Africa chasing a big score. The rain certainly had a negative impact on Pakistan’s spinners when they were squeezing the South African batsmen before the rain came. So where does this leave South Africa, currently ranked fourth in the ODI rankings, in their attempt to secure the World Cup for the first time in 36 years and 8 attempts? The overwhelming favorites must be India, who seem to have the dream team and two of India’s greatest leaders in Virat Kohli and MS Dhoni who both won the World Cup in 2011. The host country England (currently ranked no. 1), with all their match-winners and in front of their supporters, are the only side that can realistically challenge India. But historically England have struggled to win the big moments, very much like South Africa. 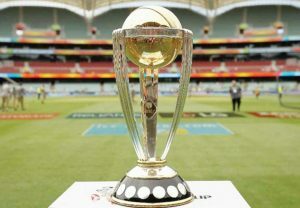 South Africa lack cricketers who are match-winners, the so-called X-factor, and it is difficult to see them winning five or six big matches to go all the way to World Cup glory. The squad hasn’t been announced yet but it looks like Quinton de Kock will be the only match-winner in his own right in the team. Cricket South Africa have let AB de Villiers go without a fight and have now marginalized Chris Morris from the ODI squad. Both players are not only the highest paid South African cricketers in the Indian Premier League (IPL), but are known for their match-winning abilities. That is why they are paid well over a million dollars each to play in the IPL. The South African bowling unit is strong but the team lacks balance and has a very ordinary batting line up. They would look so much stronger and dangerous with De Villiers and Morris in their ranks.